One of the pastoral problems we have in Liberia is the family and the family life: we witness a great number of de facto unions, many children are brought up by a single parent, girls who are becoming pregnant and are already mothers when they should be at school. The year dedicated to the family and the recent post-synodal apostolic exhortation of Pope Francis is giving us grounds for inspiration and programs to support good families, for encouraging unmarried couples to legalize their union with the celebration of the sacrament of marriage, for preparing young women and young men to choose to live the Christian Love in the relationships with their partners. Most of the families in our neighbourhood live in very precarious hygienic situations resulting partly from the difficulty to have access to clean water and more to drinking water. In the jubilee year of Mercy, with the Providence coming from many benefactors we have made three wells for drinking water and we have refurbished other two ones. After making an agreement for the maintenance with the local communities we delivered the water wells to them. 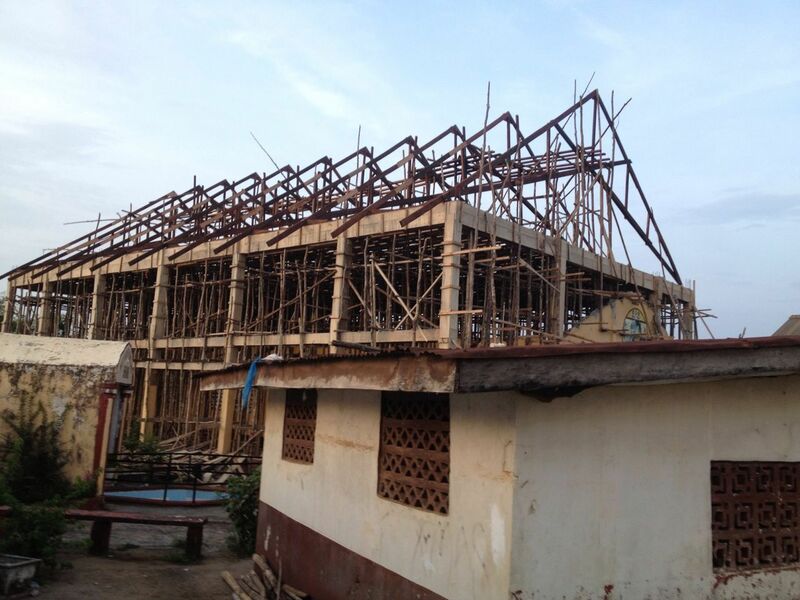 In this period the community of the Holy Innocents Parish is expanding the Church, from 400 to 600 seats. The works have been made necessary by the growth in number of th faithful in liturgical functions. The pews were not even enough to accommodate the 500 students of the mission school. We continue the tradition started in 2013, to celebrate the Mass in the different family houses in the Matadi quarters during the month of May sharing the joys and the sorrows of the people.